We all know that it is good to be king. At least, we’ve all heard that it s good to be king. Very few of us have actually had the opportunity to stand up and rule over a kingdom. While we have lacked those opportunities, it also means that we haven’t felt the burden upon our brow of that rulership. One has to stop and question how daunting a task it must be to know that your every word has unshakable weight upon your subjects. … For most kings, anyway. There have certainly been few that didn’t quite have the respect of all their supposed worshipers. But, we’re sure that such troubles won’t be yours during your long life as monarch! That’s why we’ve invested everything into your royal Gold King Crown. 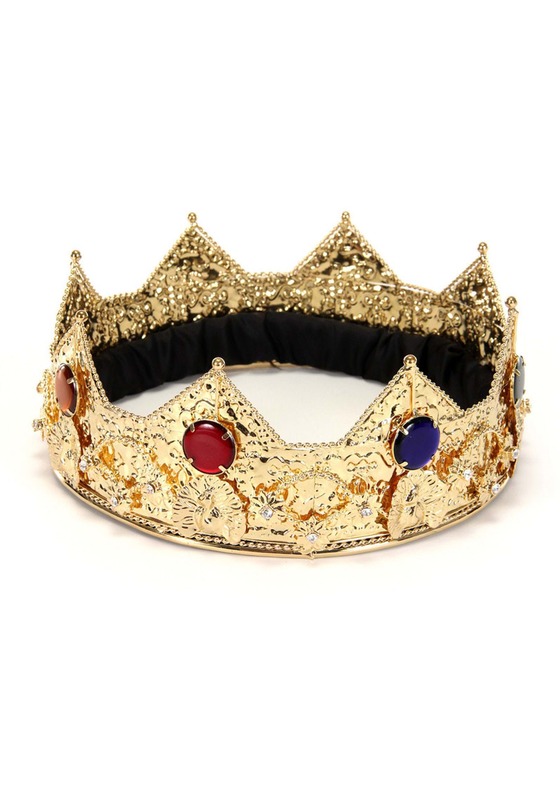 Made of glimmering and shining (faux) gold, the crown has comfortable inner padding. We can’t have our mandated ruler experiencing discomfort upon thy lofty brow! Decorated with brilliant (faux) gems and diamonds, this crown certainly is worth all the coin in ten thousand (imaginary) kingdoms. Hail and long live our monarch!